In a ballot of 2,103 members of the Association of Garda Sergeants and Inspectors, 95% voted to accept proposals. MIDDLE-RANKING GARDAÍ have voted overwhelmingly to accept pay recommendations made by the Labour Court. 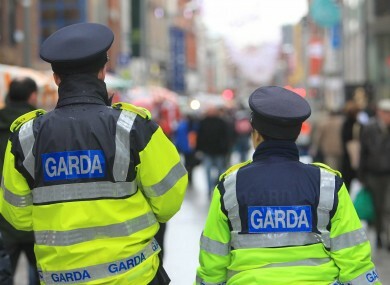 In a ballot of 2,103 members of the Association of Garda Sergeants and Inspectors, 95% voted to accept proposals negotiated by their representatives. Turnout was 71%. Speaking this morning, President Antoinette Cunningham said the ballot result is “proof that giving gardaí access to equitable industrial relations machinery works”. We held a briefing seminar in Athlone two weeks ago where we went through the Labour Court proposals in great detail. What emerged from that meeting however, was that our members felt vindicated in their fight to have parity of access to the Workplace Relations Commission and the Labour Court, both avenues previous not available to them. “This move was of particular importance to our members and recognition of their voice by the government and the Labour Court was very well received,” she said. Yesterday, members of the Garda Representative Association (GRA) also accepted the proposals. Welcoming the news, Minister for Justice Frances Fitzgerald said “nobody wanted to see industrial action” and she believed today’s decision is in the best interests of An Garda Síochána and the community. Email “Sergeants and inspectors vote overwhelmingly to accept pay deal ”. Feedback on “Sergeants and inspectors vote overwhelmingly to accept pay deal ”.